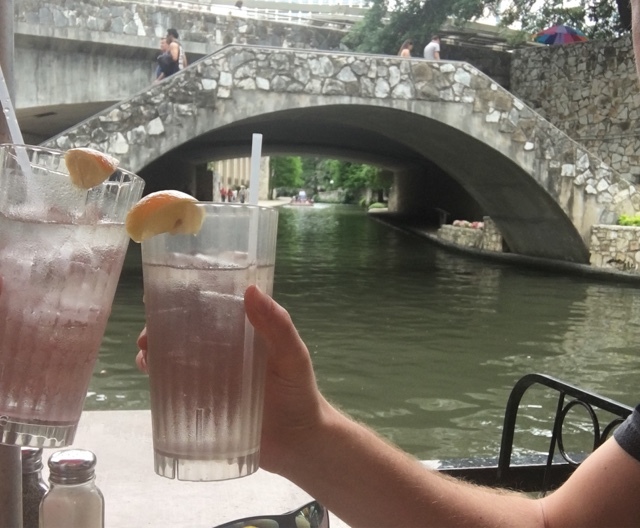 "Drinks" at Casa Rio, the oldest restaurant on the Riverwalk -- opened in 1946. Right now, I'm [really, really, really] enjoying a visit to San Antonio, TX, as I tagged along on a business trip with Dan. If you are looking for a really fun getaway, you should think about coming here! The main attraction in the city is the Riverwalk, which is around 3 miles long and has a number of restaurants and shops all around, as well as ferry boat tours with a lot of fascinating information about the city's history. The Alamo is within walking distance, too. Dan and I visited yesterday and I had a rather emotional and educating time taking in all the history. Add to all of that the shopping and theatre close by...I can't recommend it enough. Probably not a great trip for little kids (I am pretty sure both of our kids would have fallen in the river by now), but families with teenagers or couples that are reading this: get thee and thine to San Antonio! 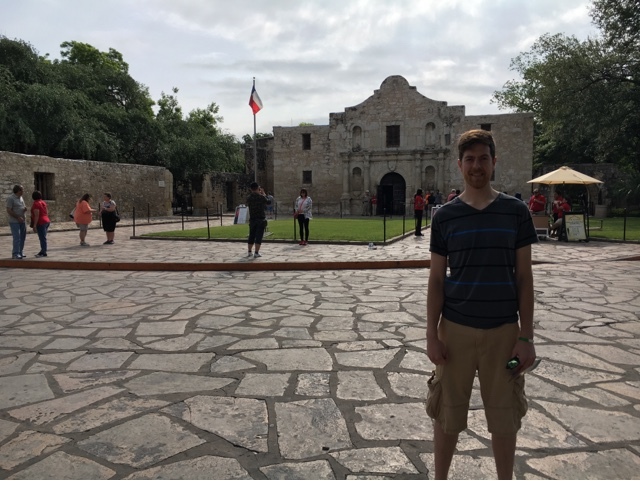 In front of the Alamo. I can't help but feel overwhelmed with gratitude...and that's been a fairly constant state of my heart for quite a few months. For the past several weeks, Hig2Point0 has been sleeping through the night, and as a cherry on top she and BabyHig have been napping at the same time...for at least two hours a day! That, my friends, is a good good thing. Sweet rest for them, sweet freedom for me. And although our weather in Michigan has been a little, well, sporadic (and very typically Michigan-y! ), I have been so blessed and strengthened by the days of sunshine that we've seen. I have also thoroughly enjoyed being involved in a BSF (Bible Study Fellowship) study of Revelation throughout this past school year, and my heart feels as if it is close to erupting with praise and wonder at the glory of God. I, admittedly, live a life of ease and luxury, compared to most of the world, but if God should take it all away, He would be every bit as worthy of my praise. I am so thankful to have experienced a growth in my love of Him. Our study will break for the summer, but I am looking forward to starting again in the fall; this time we will be in the book of John. Bible Study Fellowship is an international ministry, with study groups all over the states, so if you are looking for a solid place to study the word, I strongly suggest that you visit their website by clicking right HERE and search for a study group close to you! This has been sort of a catch-up-over-coffee kind of post, and I'm alright with that...as long as I get to hear from you, too! 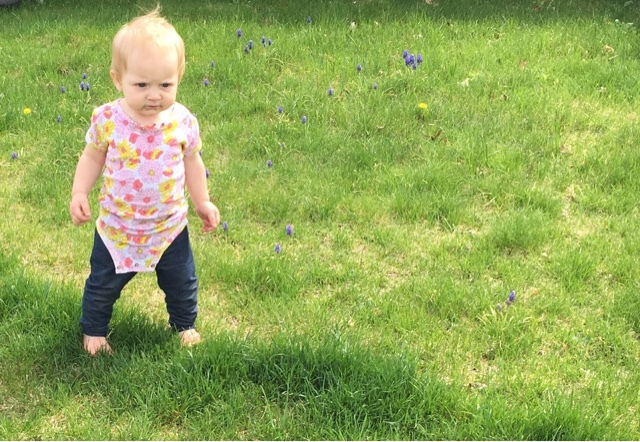 How is your spring coming along? What are you looking forward to in May? What has God been teaching you? And who else is getting their #homemade clothes on for #MeMadeMay!? Janice and I went to Austin for our 15th anniversary. It was December and the river walk was fully decorated for Christmas. Beautiful! Hope you have a great time there.